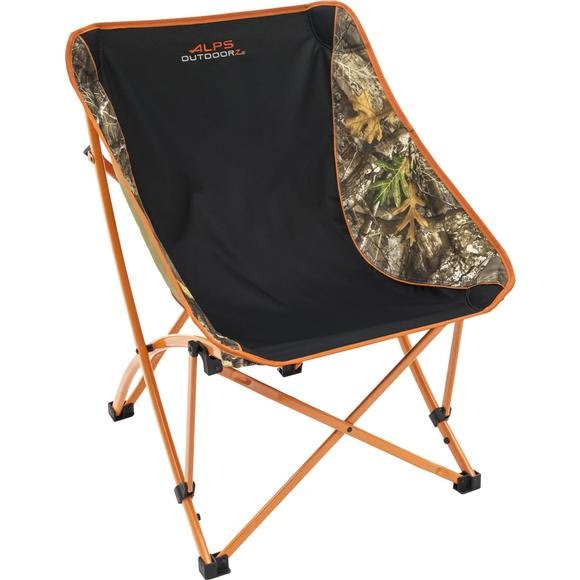 The ergonomically designed Crosshair provides comfortable, relaxed seating with a cradle-like feel - Perfect for cool nights cozied up around the campfire, chilling at the cabin, tailgating or just relaxing in the backyard. The Crosshair is offered in two eye-popping color options: Realtree Edge camo with blaze orange accents or Mossy Oak Obsession camo with bright lime accents. The ergonomically designed Crosshair provides comfortable, relaxed seating with a cradle-like feel - Perfect for cool nights cozied up around the campfire, chilling at the cabin, tailgating or just relaxing in the backyard. The Crosshair is offered in two eye-popping color options: Realtree Edge camo with blaze orange accents or Mossy Oak Obsession camo with bright lime accents. From comfort to appearance, these chairs will be the envy of all your friends at camp. Constructed of durable 600D polyester fabric and a powder-coated steel frame, the chair is made to withstand a lifetime of enjoyment. The chair is sturdy, with a weight capacity of 300 pounds; it still easily folds for transport with an included shoulder carry bag.